← Mortgage Fraud is a Serious Offense – Could YOU be Guilty? That does make it sound like trouble, but in some ways “cooling off” is good news, not bad news. For a few years we’ve had double-digit price gains, and as we saw when home prices rose by about 50% from 2000 to 2005, that can lead to trouble. Now home prices are increasing at a more traditional rate of about 5%. We’re simply in a period of adjustment. The number of homes sold per month has slowed, but here in Dallas – Fort Worth we’re still selling more houses than in years past. What’s causing this slow-down? Economists suggest that increasing interest rates may be a factor. While 30-year fixed rate mortgages are still hovering around 4.7, many buyers had come to expect less and still hold out hope that rates will drop. Unfortunately for them, it appears that the bottom has come and gone – the expectation is that mortgage interest rates will rise to 5.5 by late 2019. Should this be a worry? It’s a concern, but as we’ve seen over the decades, homebuyers’ expectations will adjust. As difficult as it is to envision today, during the 1980’s, people paid 10, 12 and even 16% interest for home mortgage loans. The fact is, there will always be those who prefer owning to renting. And of course, as interest rates rise, rental rates will also rise. Another factor might be buyer fatigue. Many homebuyers have placed multiple offers on homes and have been outbid. Others have been unable to qualify for the homes they want and are unwilling to “settle” for a home at a lower price. Lawrence Yun, economist for the National Association of Realtors was quoted as saying that sales have slowed slightly across the country. He also mentioned that home buyers “…are frustrated abut a lack of inventory,” but noted that the number of homes for sale in North Texas is growing, and that Texas has one of the most solid home markets in the country. Why is Texas doing so well? We can thank the economy and the strong job market. Texas is leading the country in terms of job growth. 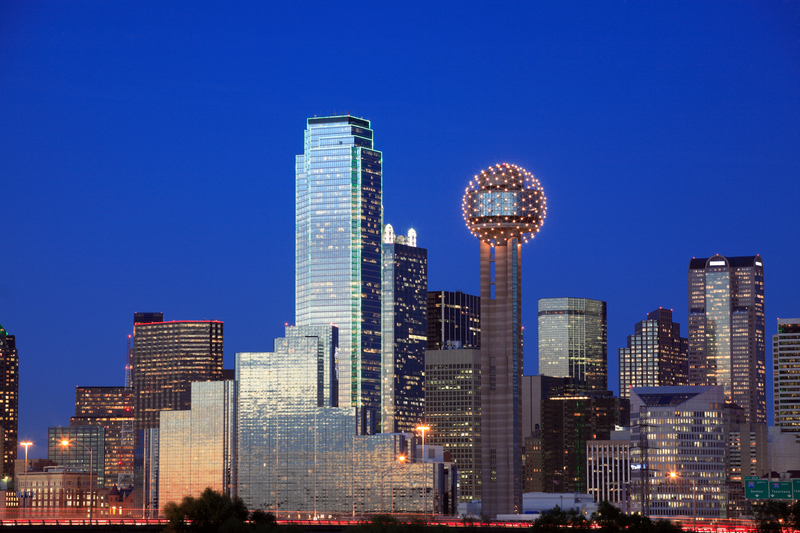 Dallas-Forth Worth has created more new jobs in the past 5 years than any other major metropolitan area in the U.S.
That, of course, is good news for the housing market in Texas. As long as there are jobs to be had, the population will grow, and every one of those workers needs a roof over his or her head. The other bit of good news is that in spite of rising prices, ours is still one of the most affordable markets in the country. We may see a temporary lull in the housing market, but no, the Texas real estate market is not in trouble. If you’re ready to find your new home in Texas, get in touch with Homewood Mortgage, the Mike Clover Group. We’re known for fast, friendly service, trouble-free closings, and the lowest rates and fees available anywhere in Texas. We’d be pleased to get you pre-approved so you can begin that Texas home search with confidence.